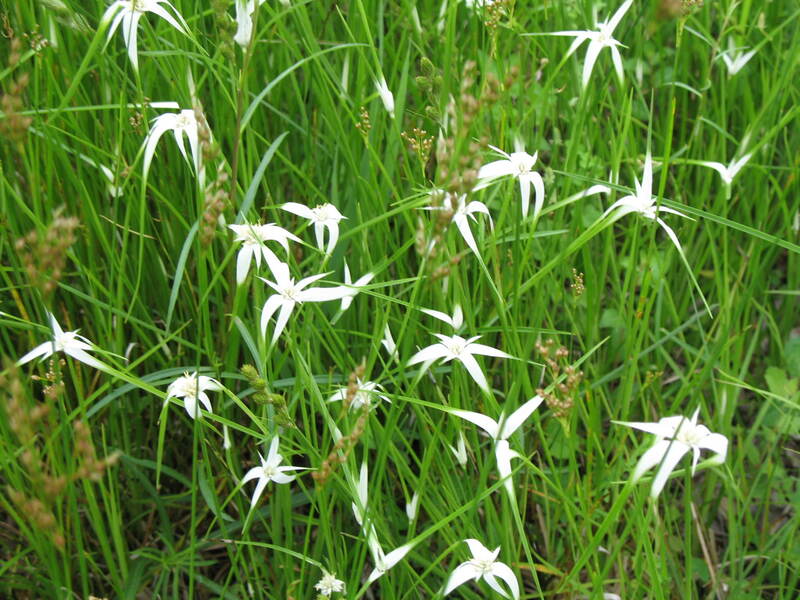 Comments: The part of the plant that is most noteworthy is actually a bract or modified leaf because the white flowers are very small and of little ornamental value. The foliage is triangular to round grasslike sedge. This is an excellent plant for Savannah plantings.